A Champion's Guide to Drinking Games, Party Skills, and Other Amazing Beer Activities. 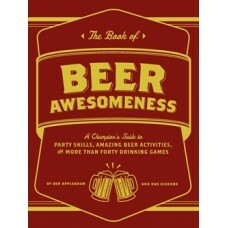 Take beer drinking to the next level with the ultimate guide to brews-including activities, games, and challenges. Featuring everything from Beer lingo to feats of fortitude and games of strategy, skill, and memory, The Book of Beer Awesomeness is full of can-crushing, keg-standing, kings-playing, cup-flipping fun.